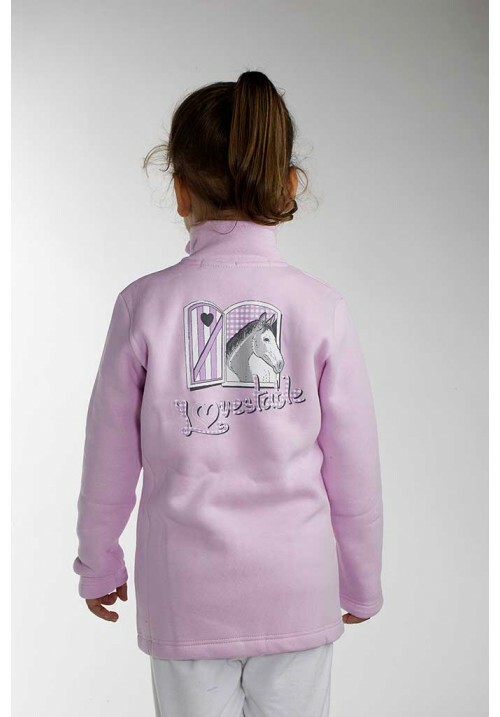 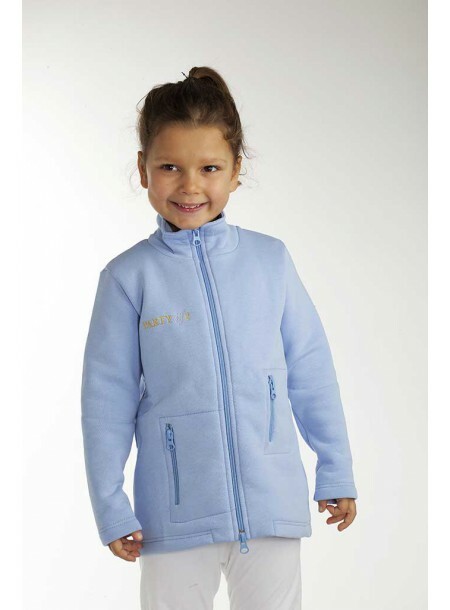 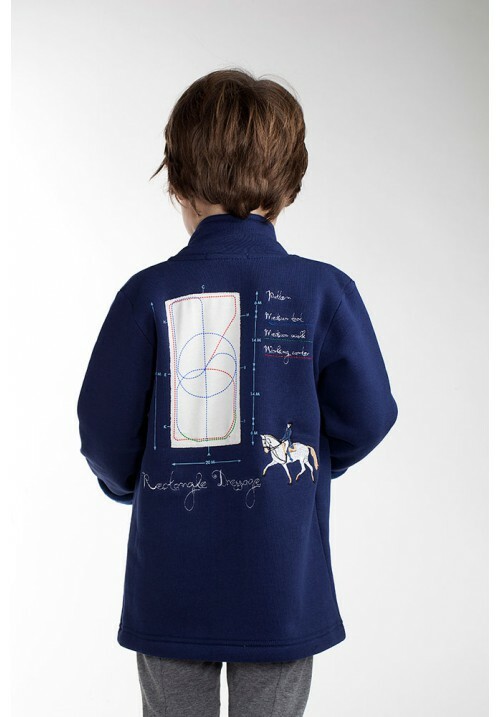 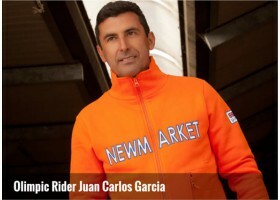 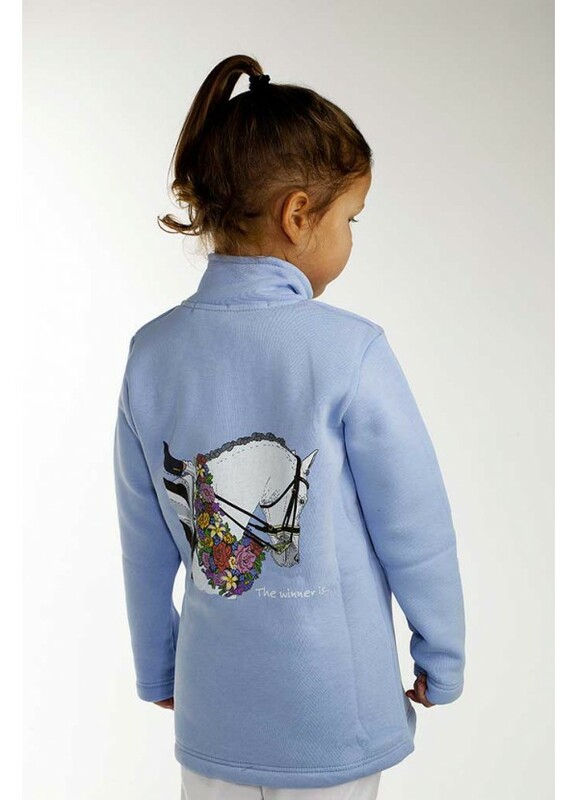 Girls' technical jacket with double zipper. Pastel blue. 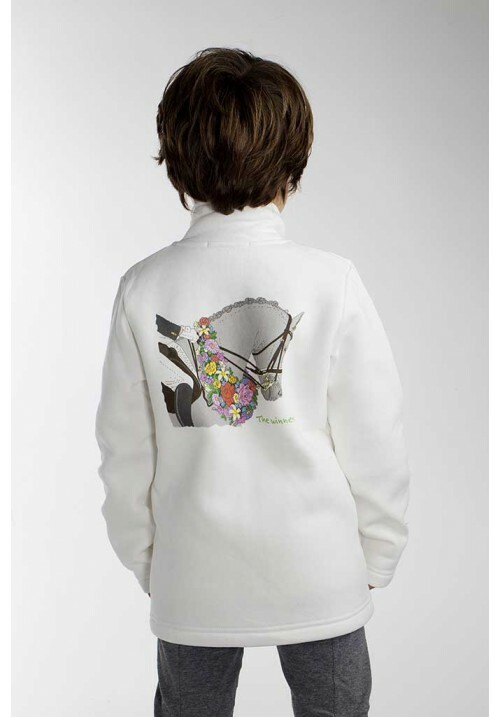 Fashion details: Partyof2 lettering finely embroidered on the front in colors matching the print on the back depicting winning horse with wreath of colorful flowers.